Each week, we hear powerful teachings from our Lead Pastor, Donny Martin, or different speakers. 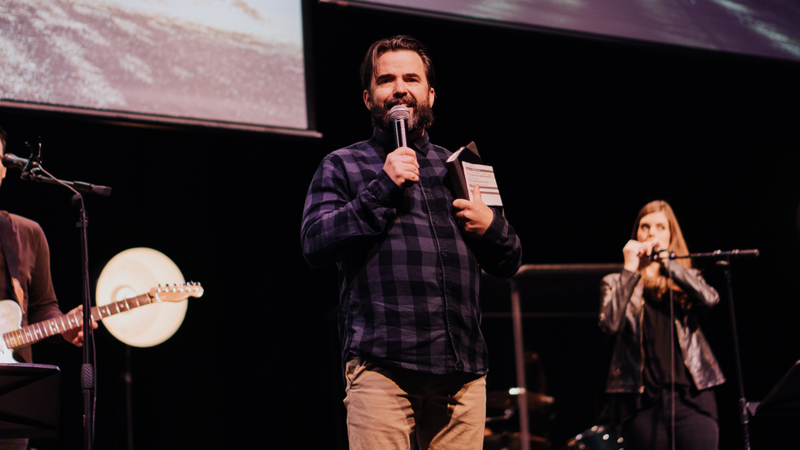 Check out our sermon archive to hear last week's message and stay up to date! Lifegroups are the heartbeat of who we are and are the best way to get connected. These groups meet weekly in homes throughout the city and are modeled after Acts 2:42-47! A-Teams are a great way to use your gifts and talents to make an impact while getting to meet and serve alongside others. Choose from one of eight opportunities that best fits you! We are a family on mission becoming a church for the whole city and the whole world for the glory of God. We will be celebrating Good Friday together as a church by encountering the presence of God! We know that as we remember the Joy of the resurrection of Jesus we will also experience the power of the resurrection as well. Come ready to meet with Jesus and be filled with his love. We can’t wait to celebrate the resurrection of Jesus together! We will have a powerful Sunday service followed by baptisms and an egg hunt for the kids. If you’d like to be baptized, sign up below! We are so excited to announce that our College Students and Young Adults will be joining up for our monthly service! 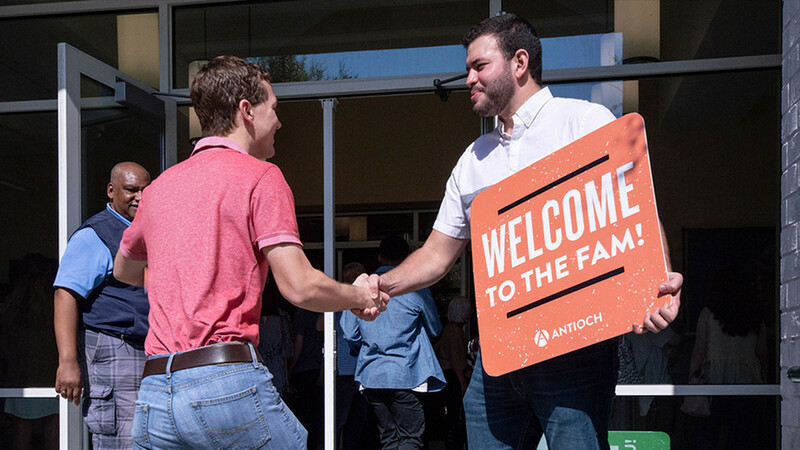 We believe this will be a unifying time where people from different seasons of life can connect and encounter Jesus together. 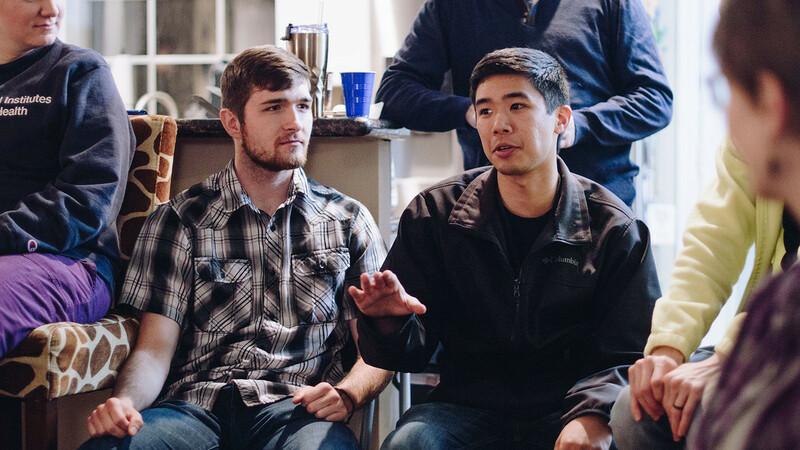 Post-service, we will host a time for graduating college seniors to connect with Young Adult leaders to help transition into this next season of life. Don't miss out! Our Discipleship School is a transformative time where you can give yourself to deeper study of God's word, grow in community, and put into practice the teachings of Jesus! If you are looking to take the next step to grow deeper in your relationship with God, join us at the interest meeting to get more information and learn how you can be a part! Connection Prayer is a ministry focused on growing in intimacy with God. We spend time asking God intentional questions and allowing Him to speak to us in order to bring deeper connection with Him. We would love to find a time for you to pray with us and grow in friendship with God!